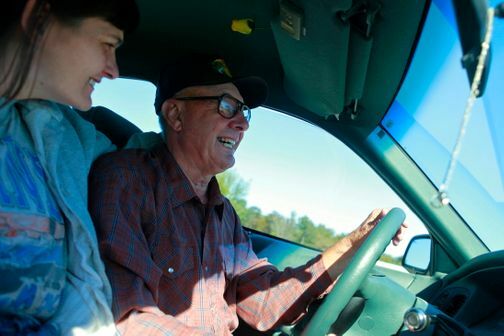 Diana (age 33) and Carlisle ( age 77) drive to work together every day. Diane and Carlisle assess a property before stripping it of its valuable parts. 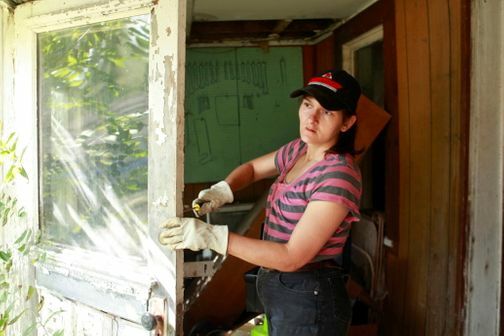 Diana takes apart a door in an abandoned home. Carlisle rummages through a living room to collect his 'treasures'. Carlisle has been working in the demolition business for 20 years. 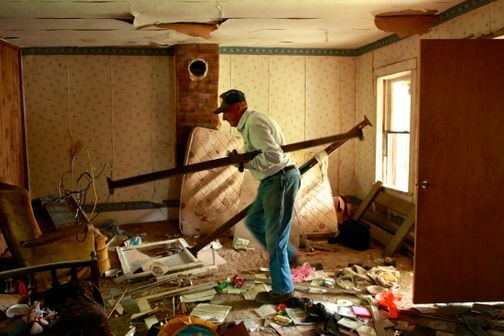 His favorite items to collect from abandoned homes are old doors and windows. Diana takes a momentary break after a hard day at work. After stripping the homes, Diana and Carlisle bring their findings back to Carlisle's property for storage. On Carlisle's property there are several structures which store their findings. Carlisle intends to sell his items and says that people come to him to buy parts for various projects. After work, Diana helps Carlisle out with chores around his property. She enjoys feeding the emu and chickens. Diana and Carlisle relax at her parent's home after work with a cup of coffee, a cigarette and quality time with baby Travis. 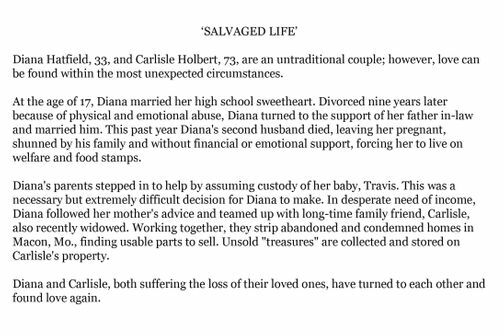 Even though Diana has given up custody of Travis to her parents, she loves him and wants to be the best mother she can be .